Hi everyone! Today I’m back with a new addition to my Fandom Frenzy series and it’s from the wonderful Nadia @ Headscarves and Hardbacks. Make sure you check out Nadia’s blog for all things bookish and also for all the information about the upcoming Ramadan Readathon! There are so many fictional worlds that I love but I honestly can’t see myself surviving in a world such as Leigh Bardugo’s Grishaverse! 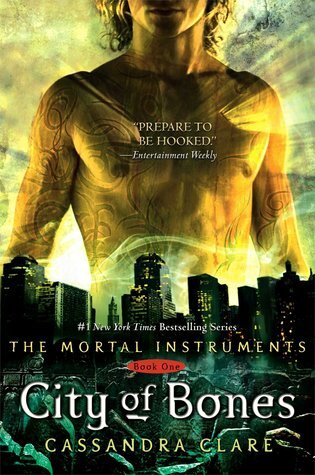 However, ever since I read my first Cassandra Clare novel, I’ve always wanted to be a Shadowhunter. I guess you could say I like to play with demons. I’m not a huge fan of the characters in The Mortal Instruments but I adore Isabelle Lightwood. She has the coolest weapon so I can definitely count on her to slaughter my enemies. I’d also befriend Magnus Bane because he’s immortal and I need someone to watch over my children when I’m gone. And I can’t answer this question without a special mention my love, Will Herondale, because I have too much Welsh pride. “Do you miss Wales?” Tessa inquired. I don’t think Clary and I would be friends. Even Lily Collins couldn’t make me like her character. Honestly, I’m just here for the body art and getting to see the City of Glass – Alicante. I was joking about playing with demons. Supernatural worlds are terrifying and I think I’d cope better in a dystopian world like Divergent because at least everyone there is human. I would protect Will Herondale at all costs. That is all. Okay so I haven’t’ read these but I am SO EXCITED TO SEE WELSH. For those who don’t know I am a Welsh speaker (and teacher) and so this thrills me beyond everything. I feel like this was part of Nad’s plan all along… Will I need to pick up these books now? A HUGE thanks to Nadia for participating in this feature. Be sure to check her out on Twitter (@scorpioreads) and follow her blog!